Holy snap everybody, things are exciting around here today! It’s official, my friends! Search Boost 3.0 is out! That's no typo, you read it right. The freshly released Search Boost 3.0 comes with dozens new features and improvements and looks amazing! Search Boost 3.0 is a highly tuned search solution that radical re-imagine the standard DNN search. Fancy design, real-time working and much more performance than you have ever seen in DNN. 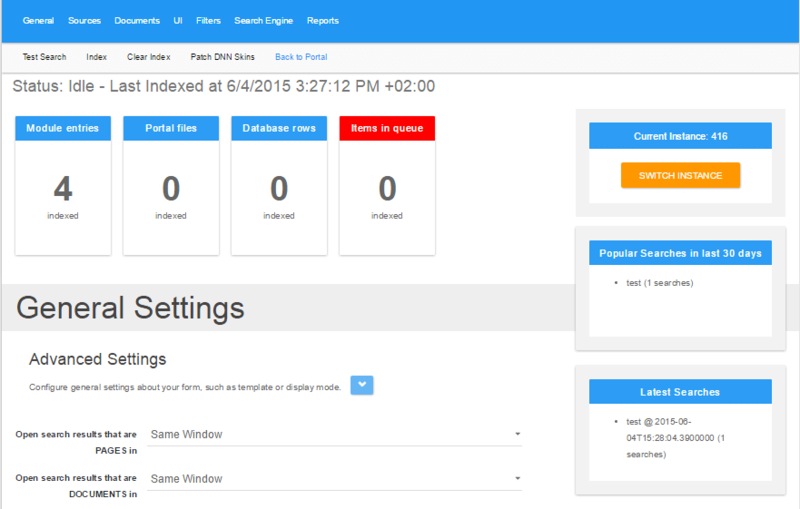 Searching for something within your DNN portal never was so easy with Search Boost 3.0. It is the best alternative if you want more control over what gets searched, who gets to search, and what results you see. But, like anything in DNN, you can customize the search functionality to your heart’s content with easy. Impress your visitors with the clean design and increase your site usability! What good is a big software update without a facelift? Search Boost 3.0 users will benefit from a revamped user interface, offering a new visual style alongside improvements to user interaction, making it more efficient and intuitive for end users. The whole admin UI that was rewritten to be based on AngularJS and Boostrap 3 and in accordance with the Google’s new Material Design visual principles. So if you’re a big fan of Twitter Bootstrap and the Material Design principles, you’ll appreciate the overall cleaner look that Bootstrap Admin brings to the Search Boost dashboard. There are also dozens features… Cool! Let’s cut to the chase and take a look closer at what's changed in Search Boost 3.0. You are going to love it! Join our webinar to learn the benefits and how-to’s behind the Search Boost 3.0 release and ask questions regarding future updates. Learn how to get the most out of the newly introduced and enhanced features and how you can apply them to your DNN portal to improve the search experience. Now you can enhance your portal search results by leveraging the awesome of power of the DNN’s #1 search engine. Search Boost has been often said to be light years ahead of any other DNN search engine. Who doesn’t love Search Boost? Ok, maybe its would-be competitors. But when it comes to popularity among DNN modules built for the modern era, Search Boost takes the top prize. Here at DNN Sharp, our ultimate, defining purpose is to provide you with the best experience possible. We don’t want you to have a great experience only when you purchase your first product or enter your billing details. We don’t want you to have a great experience only when you’re browsing our products listing or activating your license. We want every single interaction you have with us and our products to be positive. In a few words — we want you to be happy. With that in mind, we’re excited to bring you Search Boost 3.0. There are a bunch of new features that you’ll discover as you use it. We would love to hear your feedback and suggestions. DNN Advanced Search Add-on For Action Form 1.0 Is Out!